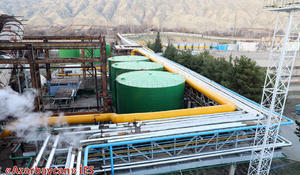 Azerenergy OJSC continues to work in accordance with the “Rehabilitation Action Plan prepared to eliminate the critical situation in the power system of Azerbaijan,” Trend reports with reference to the Society on January 7. 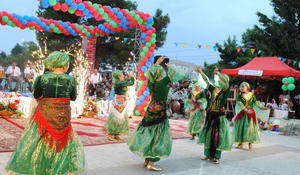 Mingechevir is one of the cities with tourism potential. 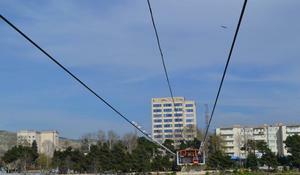 New hotels, leisure and entertainment centers have been created here. 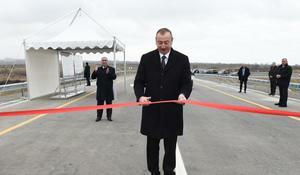 President of the Republic of Azerbaijan Ilham Aliyev has attended the opening of the newly-renovated 26km-long Aran-Garaghaji stretch of Mingachevir-Bahramtapa highway. Azerbaijan is a favorable place to put investments, said President Ilham Aliyev. President of the Republic of Azerbaijan Ilham Aliyev and First Lady Mehriban Aliyeva have attended the opening of two yarn production plants owned by Mingachevir Tekstil LLC in the Mingachevir Industrial Park. President of Azerbaijan Ilham Aliyev and First Lady Mehriban Aliyeva attended the opening ceremony of ASAN Heyat complex in Mingachevir on February 27. 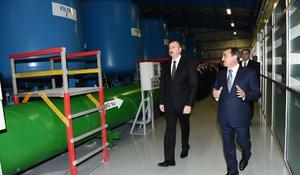 Azerbaijani President Ilham Aliyev has attended commissioning of the drinking water supply system in Mingachevir city. 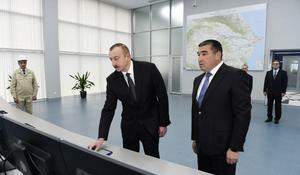 Azerbaijani President Ilham Aliyev has attended commissioning of a 424 MW Mingachevir hydropower plant after overhaul.